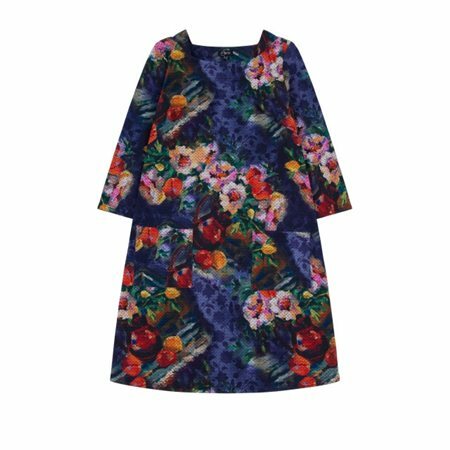 Emreco has designed this gorgeous dress with a bold autumnal print with fiery orange, pinks, aubergine and navy. The dress is knee length with pockets on the front and a beautiful bateaux neckline. The sleeves are elbow length and the dress has a loose fit finish.